He looks not just at the lands one can play, but also at any non-land sources of mana, such as Joraga Treespeaker, Rampant Growth and Prismatic Lens. By doing this he builds up a mental picture of what it is possible to do with decks and to get a feel for the flow of the mana available to him in a match. Given this, he can see what powerful spells and interactions it is possible to put into a single deck. For Pro Tour San Diego he saw that a 3-colour Green deck was eminently possible, fuelled by Birds of Paradise, Noble Hierarch and Lotus Cobra for some explosive quick mana of any colour provided he could begin the chain with green mana. Baneslayer Angel was the most powerful creature at the time, Knight of the Reliquary provided a good creature going up the curve to search out the manlands like Celestial Colonnade and Finest Hour provided an extremely versatile win condition, even turning Birds of Paradise into a late-game threat. I.e. the allied-colour pairs are White+Blue, Blue+Black, Black+Red, Red+Green and Green+White. We now list all the duals available to us (listed reverse-chronologically), followed by a discussion of their use in decks. …Wow! That’s a lot of options! First of all – the Scars Duals – are exceptionally good if one requires mana very quickly but aren’t as bothered as the game goes on. 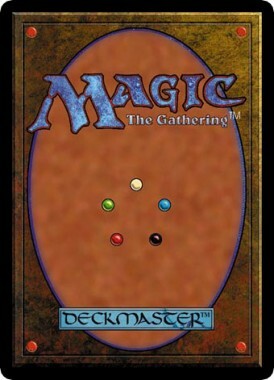 They are especially good at providing mana if you are casting spells which cost 4 or less mana. I say 4 or less because I am hoping you are playing some lands which enter the battlefield untapped. Secondly, the Worldwake Manlands. These are amazing additions to a deckbuilder’s options because they provide you with mana of the desired colours early and later on give you something to do with all your mana – kill your opponent! If you can afford a tapped land and only want the 2 colours provided you should really try to find room for these – Creeping Tar Pit in particular being very good at attacking Planeswalkers. The Refuges and Borderposts are considered slightly inferior options. The Refuges don’t provide a good enough bonus to warrant entering thebattlefield tapped and the Borderposts require one to play too many basic lands so you need the artifact quality in particular before considering them. Oddly, the reason they are not very good is because there are so many options for mana fixing and these are relatively worse. If we didn’t have so many options then they could be considered, but they still wouldn’t be very interesting. The Borderposts do offer some interesting options, however (and mostly the blue ones). Fieldmist Borderpost saw play alongside Knight of the White Orchid as a way of lowering your technical land count to increase the chances of getting the free land from the Knight, helping Dan Gardner to win the 2009 National Championship. Additionally, Mistvein Borderpost joined it in giving Time Sieve Combo a good manabase and more artifacts to interact with its various combination pieces, which nearly got 2 of my friends into the top 8 of the 2010 National Championship but for less-than-perfect draft records. The Core Set duals were very refreshing when they came out because although not ideal for quick mana, they rarely entered the battlefield tapped as the game went on. Ideal in 2-colour decks, passable in 3-colour and not really playable in 4-5 colours, these are probably the first duals a new player should be looking to acquire. Compare these to the Refuges above – you don’t gain a life, but after turn 1 it probably comes in untapped. Having lands which come in untapped is often very important (subject to your deck design) because it allows you to do your most powerful actions in the first few, vital, turns. The Filter lands are particularly interesting because they allow one to not just splash spells with a single mana symbol (e.g. Shriekmaw), but those with double mana symbols (e.g. Skinrender) as well, at a pinch. Why they really shine is because they turn another land into a dual land when used in conjunction. This is really important in Extended at the moment because of Cryptic Command – being able to play this easily is a godsend for many decks. The three tribal lands are good for decks with a large number of cards in those tribes (probably 10+, depending on how quickly you require the colours) but the Faerie one in particular is useful due to the high-quality Faerie cards Bitterblossom, Spellstutter Sprite, Vendilion Clique and Mistbind Clique. The enemy coloured pairs get slightly less love – Wizards’ attempt to show that they don’t like one another as much as the allied colours. Not so many options here :(. The Filters are again wonderful, in particular the blue ones for casting Cryptic Command. Having such powerful dual lands in enemy colours is very unusual and these have all helped to produce tier 1 decks in various formats (BW Tokens, Pyromancer Ascension, Jund, Boat Brew and Scapeshift). The Tribal lands are useful where appropriate, but Giants aren’t a playable tribe so you’re really only looking at the Elf land to help splash Thoughtseize in a fast-mana Elf combo deck. The Fetches are the most exciting lands here to a lot of people. Providing a shuffle effect when needed and generating a basic land of your choice to use immediately is great, but two of them particularly shine when used with a land we mention in the first section of the next part of this article. These have greater applications in Legacy and Vintage, but are still very useful in Extended as enemy duals are usually quite poor. 2-colour lands have a lot of applications in 2-colour decks (obviously) but also supporting the manabases of 3-colour decks where 2 are necessarily allied colours (maths ftw) and the third is either another ally to one of the colours or enemy to both. This isn’t an article on actually building manabases but those articles will likely try to make use of as many duals as they feel they can support because of how much better they are than basic lands in decks which want more than one colour of mana. This concludes the review of 2-colour lands, as mentioned earlier this article was starting to take on a life of its own so I sliced it in twain. As such, expect the second part of this article in a week’s time with an analysis of those non-basic lands which produce more than or less than 2 colours, see you then!